There is a lovely Mongolian yurt available in a 3 acre field which is next to a stream. The yurt can accommodate up to 4 people in a double bed, single and a futon. Outside the yurt there is a kitchen hut which is well equipped and a fire pit. 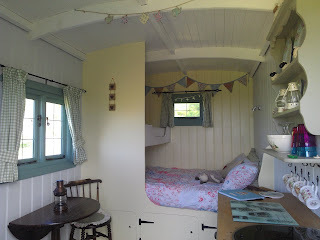 We also have a shepherd’s hut. 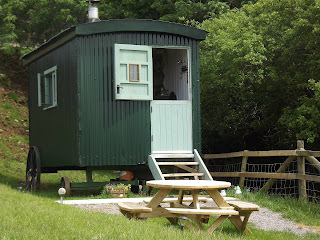 The hut is well equipped and includes a kitchen, wood burning stove, king size bed, child's bunk, garden and fire pit. The farm also offers a larger hut which can sleep 5-6 people. There is a wonderful kitchen which is well equipped and a garden and fire pit. This is the ideal location for a party or function as you have several types of accommodation available. The beautiful area has lots of areas to walk and cycle as well as a range of wildlife. You are very close to stunning beaches and a range of attractions such as Exmoor Zoo, Arlington Court, Barnstaple Castle and the Museum of Barnstaple.